Ignorant of exactly what I was getting my hands on, I played Battlefield Hardline at E3 this year. My first thoughts playing the game were “Now this is an expansion I think I will actually buy!” It was a fun new gameplay mode that kept the action fast and intense. It added an additional layer of depth to a game I had originally found buggy and sort of “meh”. Little did I know. Apparently Battlefield Hardline isn’t an expansion. It isn’t even a mod. It’s a standalone title despite the general consensus among gamers that Battlefield 4 was broken and glitchy at launch, and remains so today (though I will admit, there have been improvements). Many complain that Battlefield 4 isn’t even a year old yet, but that’s not even the real problem. Battlefield has seen yearly releases before (Battlefield: Bad Company came a year after Battlefield 2142 which game a year after Battlefield 2, etc.) 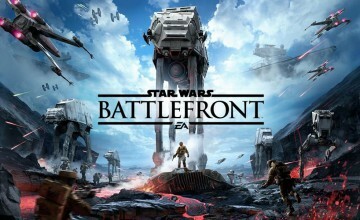 The real issue is that EA seems to have ignored their buggy product in an obvious cash-grab attempt to make gamers buy the newest game. When this game sells (and let’s be honest: It’ll probably sell pretty well), the gaming community will just be showing EA that releasing buggy games and never fixing them carries no penalty. In fact, it’s in their best interest, because they won’t have to spend the money to patch the games, and we’ll be so desperate and hopeful that the next iteration won’t be a problem, we’ll go right ahead and buy it. Product quality doesn’t matter anymore, innovation doesn’t matter, and delivering a functional product doesn’t matter so long as you can sell us a $60 product the next year (after buying all of this year’s expansions, that is) in the hopes that the new product will be better. Let me be perfectly clear, here: Battlefield Hardline should not be a stand-alone title. It is, at best, a re-texturing of Battlefield 4 with what is perhaps an interesting idea. It could have been done better, and I would absolutely have been happy to pay maybe $15 or $20 for it as an expansion to Battlefield 4. It’s by no means terrible. As its own title, though, it is just painful. 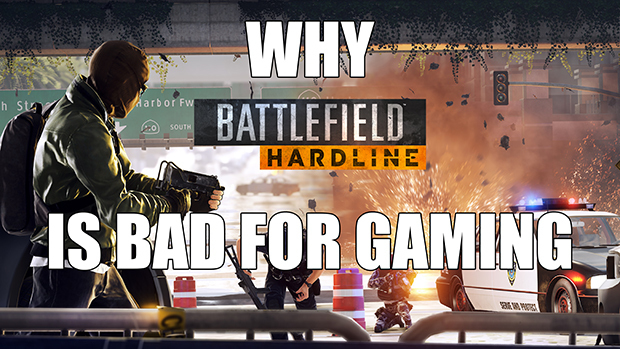 Battlefield Hardline makes no sense in the Battlefield franchise. Its conceit is cops vs. robbers, and unless they are trying to make some sort of statement about the militarization of America’s police force, I fail to see the Battlefield connection which has all been about grand warfare. 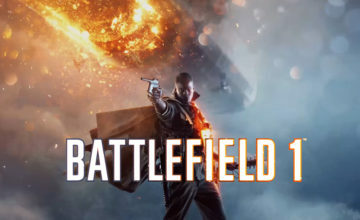 Cops and robbers doesn’t have the scope that has been the conceit of Battlefield from the start. This very well could have been its own IP rivalling Payday 2 if EA wanted it to be, but just putting on the Battlefield logo feels like a cynical opportunity to get money just because they know there is a group of people who will buy anything with Battlefield tied to its name. The more we allow companies like EA to sell the community short like this, the more other companies will follow along. When CEOs care more about their fiduciary responsibilities, they will turn to EA and see that it’s profitable to deliver more quantity and less quality unless the gaming community finally steps up and refuses to purchase blatant money grabs like Battlefield Hardline. 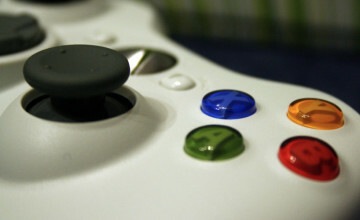 Let’s make sure games like this remain the exception and don’t become the rule.